Maureen McCue (PhD Glasgow) is a lecturer in 19th-century literature at Bangor University. Her first monograph, British Romanticism and the Reception of Italian Old Master Art, 1793–1840, will be published later this year with Ashgate. Her next project, Romantic Republics: Medieval Tuscany in the Romantic Imagination, 1785–1845, will examine the ways in which the cultural geography of Tuscany offered British Romantic writers a space in which to pursue the possibilities of liberal politics and the imagination. This article is copyright © 2013–14 Centre for Editorial and Intertextual Research, and is the result of the independent labour of the scholar or scholars credited with authorship. The material contained in this document may be freely distributed, as long as the origin of information used has been properly credited in the appropriate manner (e.g. through bibliographic citation, etc.). Abstract: This paper resituates Samuel Rogers’s influential work Italy within the wider context of Britain’s post-Waterloo visual–verbal culture. Rogers’s illustrated multi-generic travel book made the Italian peninsula accessible to its upwardly mobile middle-class audience through its miscellaneous nature, its poems, tales, travelogues, treatment of art, antiquarian asides and translation of key Italian authors. It was one of the nineteenth century’s best-selling texts, but it did not start out that way. Indeed, it would take Rogers over a decade in order to produce a profitable object. This article examines this process and the ways in which Rogers responded to key developments in the commercial print market, especially the growing popularity for keepsakes and annuals, in order to register the publishing market’s dependency on word-image constellations, Britain’s changing relationship with Italy, and, ultimately, the growing purchasing power of a middle-class, female audience. Anna Jameson’s 1844 guide, Private Galleries of Art in London, ranks Samuel Rogers—poet, banker and connoisseur—with celebrated artists and first-rate collectors. She contrasts his personal taste and emotional investment in his private collection against the cold ‘getting and spending’ of auction houses and speculators. His pure taste and emotionally informed choice of paintings represent a morally attractive relationship with art, a possibility implicitly open to Jameson’s middle-class readers. Using Rogers as a template, Jameson guides her readers to develop their taste for, understanding of and language for art. As a highly visible member of London society and a renowned connoisseur, this best-selling poet modelled the ideal of a personal life constructed along aesthetic lines to a fashionable middle-class audience. Yet Rogers was no ordinary connoisseur. As Jameson’s guide illustrates, Rogers earned a reputation not only for the vastness and diversity of his collection, but also for his distinct taste, which included overlooked artists such as Giotto, Parmigianino and Cimabue. Although several critics have noted this important fact, very little extensive work has been done on Rogers in recent years, despite a growing interest in Romantic visual culture. But besides having an impressive collection of medieval and Renaissance Italian art, Rogers’s literary work Italy (1822–28, 1830) is a key text in understanding the symbiotic relationship between literature and the visual arts during the nineteenth century. Rogers and his illustrated Italy provide invaluable information about the nature of British visual–verbal culture during the period, as evidenced in the author’s long revision process, careful construction of his authorial persona and a progressive use of medieval and Renaissance Italian culture—all geared to meet the needs of a highly fashionable audience. Rogers had long been in the public eye, but his antiquarian knowledge became increasingly important in this highly visual age. Like William Roscoe, Rogers exemplified a new type of aesthete, the nouveau riche poet. Born in 1763, Rogers came from a self-made, dissenting family. His father was a glass manufacturer turned banker; his mother was related to the connoisseur Richard Payne Knight. In 1792, Rogers’s literary fame was launched by his Augustan poem Pleasures of Memory. The following year, he inherited a banking fortune worth £5000 per annum, allowing him to become a full-time man of letters and even affording him the luxury of publishing his own poetry. Rogers soon became as famous for his sumptuous breakfasts, sarcastic wit and generous nature, as he was for his poetry, all of which maintained his standing in the public eye, even as taste for his works waned. As Jameson’s guide showed her readers, Rogers’s house at 22 St James’s Place was a purpose-built sanctuary for art. He was the National Gallery’s first non-titled board member and at his death bequeathed paintings by Titian, Guido and Domenichino to the young gallery. However, while Rogers was a much sought-after guest at the soirées of the Holland House set, he was also a favourite subject for parody, not least because of his cadaverous appearance. Literary versions and invocations of Rogers appeared throughout the nineteenth century and, even in the private correspondence of mutual friends, ‘zombie Rogers’ was an easily circulated social currency. With this high profile, bourgeois background, famous art collection and the popularity of his illustrated, miscellaneous work Italy, Rogers was both instrumental in and representative of the developments in Britain’s visual literary culture during the nineteenth century. While O’Connor is correct in her assertion that Italy and Rogers’s journal are more in keeping with what the average traveller might produce for him- or herself, she overlooks the years’ worth of work Rogers put into making Italy appealing to a range of readers. Although she describes Italy as a ‘long narrative poem’, it was much more than this: growing out of his journal from his first trip to the peninsula in October 1814, Italy retains many elements of a commonplace book. It is at once a travelogue and a historical guide to Italy; it positions scholarly information on little-known art works next to gothic vignettes of young female captives; and its picturesque descriptions are complemented by lavish illustrations by Stothard and Turner. This work, which blends poetry and prose, was developed, published and republished over the course of more than a decade. Italy’s long publishing history, its eventual success and the reasons behind this success, provide valuable information about the desires of the period’s middle-class readership who were keen on raising their social standing, and the sorts of decisions authors and publishers had to make in order to render illustrated works commercially viable. Image, text and Rogers’s self-presentation are carefully crafted to meet the demands of this fashionable, middle-class audience. Rogers answers the need of post-Grand Tour travellers, yet he is also reaching an audience with a voracious appetite for illustrations. His readers could be either fireside travellers or active participants in the growing tourist industry. Some might intensely read Italy for its breadth of factual knowledge; others, attracted to the gothic vignettes, might dip into it more casually, as we do today with coffee-table books or magazines. Renaissance and medieval Italy, especially Tuscany, was increasingly appealing to readers. As a well-respected connoisseur, Rogers’s own knowledge of this subject was a major selling point for Italy. Yet, he packaged this knowledge within the framework of popular taste by drawing on the two major developments of contemporary publishing: illustrations and annuals. Furthermore, he used the growing interest in the fine arts of the Renaissance period to extend the image of himself as an authority of art. It was this combination of factors which helped Rogers not only to reach a large audience, but also to shape the taste of the nineteenth century. Making Italy popular was costly, but its illustrations gave it a high social currency. Hale puts the cost of publishing the illustrated editions of Italy and Rogers’s collected Poems at £15,000 between them, but, as Lady Blessington punned, Italy ‘would have been dished if it had not been for the plates’. Though several critics, including Hale and Holcomb, point out that Blessington’s pun overstates the case, they do acknowledge that the illustrations were essential to the work’s success. As Hale demonstrates, Rogers exploited both the new technology of steel engraving, which was able to mass-produce high quality prints, and the fashionable practice of displaying elegant verse collections in one’s drawing room. More than simply decorative, this new visual technology gave a depth and an atmospheric quality to the text through minute details. The page was now a ‘peephole’, according to Hale, ‘through which the reader could glimpse the sun rising mistily among the Alps, or a gondola moving over the lagoon toward the Doge’s Palace’. Like the popular camera obscura and raree-shows in London, Turner’s illustrations of landscape and architecture condensed Rogers’s loco-descriptive passages into intensified snapshot celebrations, while Stothard’s vignettes of paintings and local characters instantly gratified the quest for Old Master works and Italian spectacles. Thanks in part to the growing visual culture in Britain, the topography of books was rapidly changing. ‘Viewing’ and ‘reading’, art and literature, began to merge in a variety of activities and formats, including the practices of picturesque landscape drawing and tours, the desire to read Old Master portraits with the help of critics, the popularity of portraits of contemporary writers and the formation of galleries depicting scenes from canonical writers such Milton and Shakespeare. Especially important was the development of more sophisticated methods of engraving, which could now produce high-quality reproductions en masse. As engraving technology improved, the art and practice of engraving became increasingly recognised and celebrated, while its commercial implications dramatically shaped publishing practices in post-Waterloo Britain, particularly in the development of illustrated texts, such as keepsakes, annuals and albums. The physical social space of the gallery was re-enacted in drawing rooms by sharing and displaying individual or collections of prints, while illustrated editions of Shakespeare and Milton became highly sought-after markers of their owners’ cultural and social standing. Steel engravings could produce high-quality images many times over, making them superior to copper or other types of engravings where plates wore down quickly. As Basil Hunnisett and others have documented, literary texts were among the first to use steel engravings. All of these factors can be traced in Italy’s development, Rogers’s choice of subject matter, the illustrations, bindings and balance between poetry, informative prose, travelogue and short stories. It was Italy’s alliance with this ‘fashionable potpourri’ that made it highly successful. The underlying fear, and one that was often actualised, was that despite the appeal of such authors, the illustrations would begin to take precedence over the literary content. As Erickson points out, the price of the engravings ‘put a great premium on the pictures and meant that editors solicited poets to write poems about pictures that were being engraved instead of commissioning engravings to provide illustrations for existing poems’. Eventually the ‘quality of and the payment for poetry in the Annuals’ began to decline. Writers who wanted illustrations for their own work often had to underwrite the high costs of production themselves. Rogers did, of course, have the means to create the exact images and text he wanted. Over the course of a decade, he edited both his text and the work’s illustrations in response to the new publishing market. His work grew to accommodate more short stories and longer prose sections. Like the annuals and other gift-books, Italy offers an array of subjects and genres. Particularly popular were Rogers’s travelogues and his gothic stories. His readers were simultaneously educated by the author’s own antiquarian knowledge and thrilled by his recordings of ‘local legends’. Italy became a stage set and spectacle, both for Rogers’s reader abroad, but also, with the help of such high-quality and detailed illustrations, for fireside travellers. By using illustrated annuals as a template, Rogers successfully navigated the complex demands of the publishing market. Fig. 1. Thomas Stothad, ‘Coll’Alto’, in Samuel Rogers, Italy (1830). Text and image converge most strikingly in the ongoing theme of captivity. This theme is prevalent in the narrator’s retelling of local legends, in the witnessing of spectacular Catholic ritual, and in the poet–viewer’s intense experience of art. 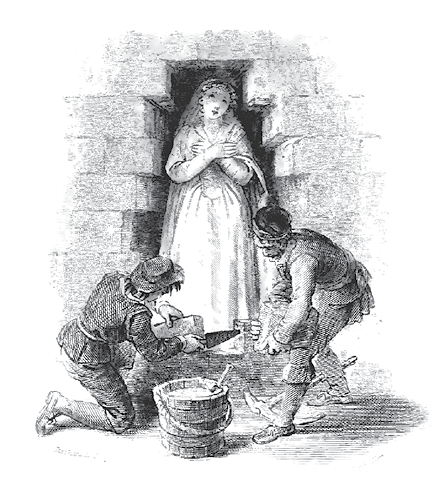 Stothard illustrated several of the accompanying vignettes: the spectacle of the Nun taking her vows is forever frozen for Protestant readers; the illustration of Coll’Alto (Figure 1, above) depicts the falsely accused Cristina, her eyes heavenwards, in the process of being interred by workmen in the wall which would become her grave; and the heroine of Ginevra (Figure 2, below) is in essence shown twice in the accompanying engraving which includes both a copy of the portrait of a young woman (attributed to Domenichino) and the trunk which was to become her tomb. The engraving helped promote Domenichino’s reputation, and, along with the engraving of Raphael’s Transfiguration (1516–20), was one way that readers could personally own a copy of an Old Master. This miscellany of narratives and subjects was one way in which Rogers’s text appealed to a variety of readers, and, as such, was an important tool in creating his own authorial persona. Throughout Italy, the narrator plays a variety of roles: cicerone, antiquarian, historian, picturesque guide and poet. Rogers’s choice of art is an essential ingredient in his self-marketing. While the inclusion of Giotto and Cimabue shows an unusually progressive taste, in his editorial decisions it is clear that Rogers also mirrors popular taste and audience expectations for art. Through Rogers’s own self-marketing tactics, Italy subtly reflects two important changes in British art discourse: an increased interest in Renaissance art, which displaced the importance of the classical, and the purchasing power of a female audience. These changes can be seen in Rogers’s treatment of two statues: Michelangelo’s effigy of Lorenzo, Duke of Urbino, and the Venus de’ Medici. Fig. 2. Thomas Stothard, ‘Ginevra’, in Samuel Rogers, Italy (1830). Florence’s Cappelle Medicee, attached to the Church of San Lorenzo, contain some of Michelangelo’s most important work: the paired sculptures of Night and Day, and Dawn and Dusk, which recline respectively on the tombs of Giuliano, Duke of Nemours, and Lorenzo, Duke of Urbino. While these works tended to be overlooked by Grand Tourists, the intervening war years spurred an interest in the Medici family and Tuscan history with publications such as William Roscoe’s The Life of Lorenzo de’ Medici, Called the Magnificent (1796) and J. C. L. Simonde de Sismondi’s sixteen-volume Histoire des républiques italiennes au moyen âge (1807–26). Authors especially began to take notice of the statues, but it was not until Rogers’s Italy that the statues were considered primarily for their aesthetic merits. In the much-celebrated Corinne, De Staël misrepresents these works as the tombs of Lorenzo il Magnifico and his brother Giuliano, an error which produced much confusion for several decades. Ironically, these more important Medici are interred together in an unfinished tomb near the entrance. Although its depiction of classical ruins and its ekphrastic passages on classical sculpture have received much scholarly attention, critics tend to overlook the ways in which Byron engages with Italy’s medieval and Renaissance literature and history in the fourth canto of Childe Harold’s Pilgrimage. Though most of Byron’s evocation of Florence focuses on the classical statue of the Venus de’ Medici and the medieval Basilica di Santa Croce, he does briefly mention the Medici Chapels in San Lorenzo. Importantly, this occurs directly after his description of Santa Croce (stanzas 54–59), which is both the burial place of several celebrated figures, including Michelangelo, Alfieri, Galileo and Machiavelli, and a reminder of those great exiles, Petrarch, Dante and Boccaccio who sleep in ‘immortal exile […] While Florence vainly begs her banish’d dead and weeps’. Byron recognises Florence both as the place where ‘learning rose to a new morn’ and as a city which has suffered under and perpetuated tyranny. He describes the church of San Lorenzo as a ‘pyramid of precious stones’ which ‘encrust the bones of merchant-dukes’ (ll. 532–40), while Hobhouse’s accompanying note dismisses the Medici chapels as the mere ‘vanity of a race of despots’. Rogers, on the other hand, treats the effigies of the princes as important art works in their own right, leading the way for later writers such as Elizabeth Barrett Browning in Casa Guidi Windows (1851) to do the same. This experience of Lorenzo’s marmoreal likeness was jarring for Rogers. The images and forms Rogers feels he should value over this ‘terrible phantom’ are paintings by Raphael and Titian, which manifest ideal beauty, and the antique statues Grand Tourists had most valued for the virtù they promised to inspire. Yet, when compared with Michelangelo’s sublime creation, both the viewer and these canonical works are rendered imaginatively powerless. By recording the struggles of several visits, Rogers’s journal tracks the ways in which he emancipated himself from this terrible demon. In Italy, however, this struggle is glossed over as he confidently leads his readers through the sites of Florence. During the wars with France, while Italy had been essentially closed to the average tourist, Britain imported an unprecedented amount of original Old Master paintings and authentic classical statues. Viewers were exposed to original artworks for the first time and the access to original antiquities, most importantly the Parthenon or Elgin Marbles, eventually led connoisseurs and middle-class viewers alike to be critical of statues now considered to be mere copies of antiquities. Furthermore, the growth in opportunities to see Old Master paintings at home revealed previously overlooked or undervalued works and artists. Coupled with an interest in modern European languages and other educational initiatives, this greater exposure to art during the Napoleonic Wars meant that the traditional itinerary of the Grand Tour quickly deteriorated in the years following Waterloo. Although Eustace and Byron, who published during and directly after the war with France, could still rely on the Grand Tour’s classical sites to predominantly frame their travel narratives, Rogers needed to meet the demands of a middle-class audience interested in the Renaissance, not classical antiquities. Rogers may be seen every day about eleven or twelve in the Tribune, seated opposite to the Venus, which appears to be the exclusive object of his adoration; and gazing, as if he hoped like another Pygmalion, to animate the statue; or rather perhaps that the statue might animate him. A young Englishman of fashion with as much talent as espiéglerie, placed an epistle in verse between the fingers of the statue, addressed to Rogers; in which the goddess entreats him not to come there ogling her every day;—for though ‘partial friends might deem him still alive,’ she knew by his looks he had come from the other side of the Styx; and retained her antique abhorrence of the spectral dead, &c. &c. She concluded by beseeching him, if he could not desist from haunting her with his ghostly presence, at least to spare her the added misfortune of being be-rhymed by his muse. Here, Jameson plays off the public caricature of Rogers as a reanimated corpse and imagines that Rogers will still be ogling the statue when her readers arrive in Florence. At odds with his own treatment of the statue in Italy, this passage reveals Rogers in a typically eighteenth-century, male posture. But it was precisely this attitude which he sought to avoid in his cursory treatment of the Venus de’ Medici. The Venus’s sexual potency had been a major component in virtually all interactions with the statue since the sixteenth century and led to various textual and practical contortions on the part of the viewer. By the 1830s, the importance of Italy’s classical past had been, as Holcomb has argued, ‘redefined’. This was in part due to the increased availability of art in Britain, as I outlined above, but also because of the treatment of art in travel literature written by women, such as Jameson and Lady Morgan. While earlier in Diary of an Ennuyée, Jameson had asserted her ability to appreciate the Venus’s aesthetic qualities, in this lengthier presentation of the statue she playfully uses Rogers to deflect the need for any serious critique of a statue most often celebrated for its sexual appeal and particular fleshiness. Jameson points to this sexual element through Rogers’s extended gaze, even as she distances herself and her readers from this male discourse. In Italy, Rogers deliberately limits his treatment of the statue to a few lines, privileging her celestial rather than earthly qualities and, only by not describing her, is ultimately able to contain her within his text. Maintaining this virtuous posture made Italy more marketable to his target—that is, female—audience. Rogers offers a poignant case study for the developments in visual–poetic culture in post-Waterloo Britain. The myth of Italy and the desire to display one’s cultural capital fuelled developments in prints and illustrations. The carefully crafted figure of Rogers, his credentials as a connoisseur, and the success of the illustrated Italy, chronicle changes in the relationship between the visual and verbal arts. Like William Roscoe, Rogers, as a self-made man and connoisseur, became a template for his middle-class readers, a status he actively sought to maintain and capitalise on throughout Italy by controlling his emotional reaction to statues such as the effigy of Lorenzo and the Venus de’ Medici. By owning Rogers’s work, his reader became more educated, had the opportunity to possess copies of important Old Master works, imaginatively travelled throughout Italy and gained an important marker of social currency. Drawing on the fashion for illustrated gift-books, Rogers recreated his text to appeal to a wide, predominantly female, audience. 1. 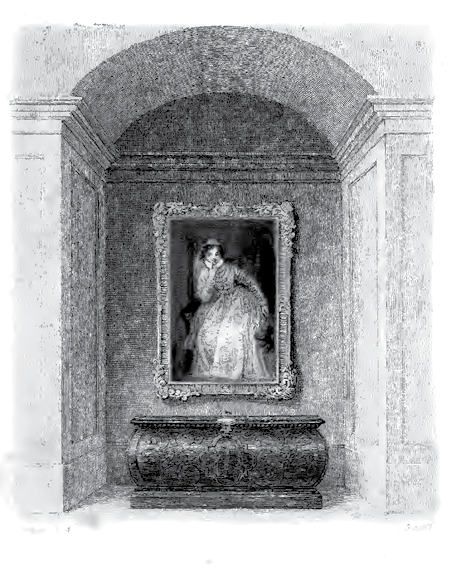 Anna Jameson, Private Galleries of Art in London (London: Saunders & Otley, 1844), p. 383. 2. William Wordsworth, ‘The World is too Much with us; late and soon’, in The Poems, ed. by John O. Hayden, 2nd edn, 2 vols (Harmondsworth: Penguin, 1982), I, 568. 3. See for example, C. P. Brand, Italy and the English Romantics: The Italianate Fashion in Early Nineteenth-Century England (Cambridge: CUP, 1957); Chloe Chard, Pleasure and Guilt on the Grand Tour: Travel Writing and Imaginative Geography (Manchester: MUP, 1999); Kenneth Churchill, Italy and English Literature (Totowa, NJ: Barnes & Noble, 1980); Charles Hobday, A Golden Ring: English Poets in Florence from 1373 to the Present Day (London: Peter Owen, 1997); Adele M. Holcomb, ‘Turner and Rogers’s Italy Revisted’, Studies in Romanticism, 27.1 (1988), 63–95; Adele M. Holcomb, ‘A Neglected Classical Phase of Turner’s Art: His Vignettes to Rogers’s Italy’, Journal of the Warburg and Courtauld Institutes, 32 (1969), 405–10; and Maura O’Connor, The Romance of Italy and the English Imagination (Bloomsburg, PA: Macmillan, 1998). 4. Richard Garnett, ‘Rogers, Samuel (1763–1855)’, in Oxford Dictionary of National Biography, rev. by Paul Baines (Oxford: OUP, 2004) <doi:10.1093/ref:odnb/23997> [accessed 8 Oct 2007]. 5. For more on Rogers’s house and art collection see Donald Weeks, ‘Samuel Rogers: Man of Taste’, PMLA, 62.2 (1947), 472–86. 6. For example, on 20 Feb 1818, Byron wrote to his publisher John Murray from Rome, ‘in three months I could restore him [Rogers] to the Catacombs’—Byron’s Letters and Journals, ed. by Leslie A. Marchand, 12 vols and supplement (London: John Murray, 1973–94), VI, 13. 7. O’Connor, Romance of Italy, p. 33. In an accompanying note, O’Connor writes, ‘When a new edition of Rogers’s poem, Italy, was published in 1830, it sold 10,000 copies, which gives us some indication of its popularity. As a point of comparison, Murray’s popular travel guides to parts of the Italian peninsula and to France had an annual circulation of 12,000’ (p. 33n.). 8. This journal was first published well over a century later—see Samuel Rogers, The Italian Journals of Samuel Rogers, ed. by J. R. Hale (London: Faber & Faber, 1956). 9. See e.g. James Hedderwick, The English Orator: A Selection of Pieces for Reading & Recitation (Glasgow: Hedderwick & Sons, 1833), pp. 169–71; A young gentleman of Philadelphia, Lucrezia, or, the Bag of Gold: A Dramatic Sketch in Five [i.e. four] Acts Founded on a Story in Rogers’ Poem of Italy (Philadelphia, PA: Turner & Fisher, 1848); Susan E. Wallace, Ginèvra; or, the Old Oak Chest: A Christmas Story (New York, NY: H. W. Hagemann, 1894); and Samuel Rogers, Italy: A Poem, with 75 Cuts (Paris: Baudry’s European Library, 1840). Wallace’s text includes both Rogers’s ‘Ginevra’ and Thomas Haynes Bayly’s 1830 ballad rendition, ‘The Mistletoe Bough’. 10. J. R. Hale, ‘Samuel Rogers the Perfectionist’, Huntington Library Quarterly, 25.1 (1961), 61–67 (p. 61). Quoted as ‘Perfectionist’ hereafter. 11. Recording all of these changes is beyond the scope of this article, and as such I have limited myself to four texts: the anonymous first part (London: Longmans, 1822); the first illustrated edition (London: Cadell and Moxon, 1830); the Cadell and Moxon’s 1838 edition with its full-sized plates; and an 1856 anthology of Rogers’s Poetical Works published by Moxon. For purely practical reasons, the last is my working copy of the poem. Although the editor of this volume explains that Rogers felt that a Cadell and Moxon 1834 edition of the Poems was the ‘first complete Edition’ (p. 211), the editor uses Moxon’s 1839 edition as his copy text (p. 406). By using the 1856 edition as the main text, I have been able to gauge various developments in Italy and how it answered the demands of a marketplace already flooded with images and Italianate literature. All quotations, unless otherwise noted, are taken from the 1856 edition, and, as Italy is a combination of poetry and prose, I will cite only page numbers. 12. Holcomb, ‘Turner and Rogers’ Italy Revisited’, p. 84. 13. A Journal of the Conversations of Lord Byron with the Countess of Blessington (London, 1893), p. 321, quoted in The Italian Journal of Samuel Rogers, p. 47; and Hale, ‘Perfectionist’, p. 63. 14. Hale, ‘Perfectionist’, p. 63; and Holcomb, ‘Turner and Rogers’ Italy Revisited’, p. 84. 15. Hale, ‘Perfectionist, pp. 62–63. 16. Peter Simonsen, Wordsworth and the Word-Preserving Arts: Typographic Inscription, Ekphrasis, and Posterity in the Later Work (Basingstoke: Palgrave Macmillan, 2007), p. 53. 17. See for example, Luisa Calè, Fuseli’s Milton Gallery: ‘Turning Readers into Spectators’ (Oxford: Clarendon Press, 2006) and Christopher Rovee, Imagining the Gallery: The Social Body of British Romanticism (Stanford, CA: Stanford University Press, 2006). 18. Gillian D’Arcy Wood, The Shock of the Real: Romanticism and Visual Culture, 1760–1860 (Basingstoke: Palgrave, 2001), pp. 80–83. 19. D’Arcy Wood, Shock of the Real, p. 182 (my emphasis). 20. D’Arcy Wood, Shock of the Real, p. 75. Wood writes that, throughout the eighteenth century, ‘[t]he popular audience for fine art prints continued to expand rapidly. By the beginning of the Academy’s second decade, the British export market in prints was worth two hundred thousand pounds a year. Increasingly therefore, the Royal Academy came to embody an ideal of state patronage entirely at odds with the reality of the new bourgeois market for fine art. Furthermore, the opening of this market was less use to English artists themselves than to those engravers and print-sellers who had improved their skill and adapted workshop technologies to better compete internationally’ (p. 75). 21. Bruce Haley, Living Forms: Romantics and the Monumental Figure (New York: SUNY Press, 2003), p. 87. 22. Richard D. Altick, The Shows of London (Cambridge, MA: Belknap Press of Harvard University Press, 1978), p. 106. 23. Lee Erickson, The Economy of Literary Form: English Literature and the Industrialization of Publishing, 1800–1850 (Baltimore: Johns Hopkins University Press, 1996), p. 103. 24. Ian Jack, Keats and the Mirror of Art (Oxford: Clarendon Press, 1967), p. xvii. 25. Erickson, Economy of Literary Form, pp. 28–29. 26. Simonsen, Wordsworth and the Word-Preserving Arts, p. 14. 27. Basil Hunnisett, An Illustrated Dictionary of British Steel Engravers (Aldershot: Scolar Press, 1989). 28. Anne Renier, Friendship’s Offering: An Essay on the Annuals and Gift Books of the Nineteenth Century (London: Private Library Association, 1964), p. 14. See also, Bernard Denvir, who argues that ‘graphic reproductions generally were a most potent force in spreading a taste for art, making the public aware of the style and achievement of individual painters, and conferring on those when were successfully, popular fame of a kind unknown before in history’—The Early Nineteenth Century: Art, Design and Society, 1789–1852 (London: Longmans, 1984), p. 23. 29. Simonsen, Wordsworth and the Word-Preserving Arts, p. 19. 30. Erickson, Economy of Literary Form, p. 31. 31. Erickson, Economy of Literary Form, p. 36. 32. Germaine de Staël, Corinne, or Italy, trans. and ed. by Sylvia Raphael (Oxford: OUP, 1998), pp. 352–53. 33. See William E. Wallace, Michelangelo at San Lorenzo: The Genius as Entrepreneur (New York: CUP, 1994), p. 75. See also, Antonio Paolucci, Il Museo delle Cappelle Medicee e San Lorenzo (Livorno: Sillabe, 1999), pp. 61–89; and Giorgio Vasari, The Lives of the Artists, trans. by Julia Conaway Bondanella and Peter Bondanella (Oxford: OUP, 1998), pp. 453–62. 34. See for example, Bruce Haley, ‘The Sculptural Aesthetics of Childe Harold’s Pilgrimage IV’, Modern Language Quarterly, 44 (1983), 251–66. 35. George Gordon, Lord Byron, Lord Byron: The Complete Poetical Works, ed. by Jerome J. McGann, 7 vols (Oxford: Clarendon Press, 1980–93), II, 120–86. 36. Rogers, Italian Journals, pp. 195–96. 37. John Chetwode Eustace, A Classical Tour through Italy, 3rd edn, 4 vols (London: Mawman, 1815), III, 362. 38. Anna Jameson, Diary of an Ennuyée (London: Henry Colburn, 1826), pp. 98–99. 39. See for example, Taste and the Antique: The Lure of Classical Sculpture, ed. by Francis Haskell and Nicholas Penny (New Haven, CT and London: Yale University Press, 1981), pp. 325–28; and, John Barrell, The Birth of Pandora and the Division of Knowledge (Basingstoke: Macmillan, 1992), p. 84. 40. Holcomb, ‘Turner and Rogers’ Italy Revisited’, pp. 80–84.